Sail along the Moselle, Rhine, Main, and Danube Rivers and through the dramatic Rhine Gorge and Main Danube Canal on this remarkable river cruise vacation. Your journey begins with two overnights in Paris, guided city sightseeing. and leisure time to explore the “City of Light” on your own. 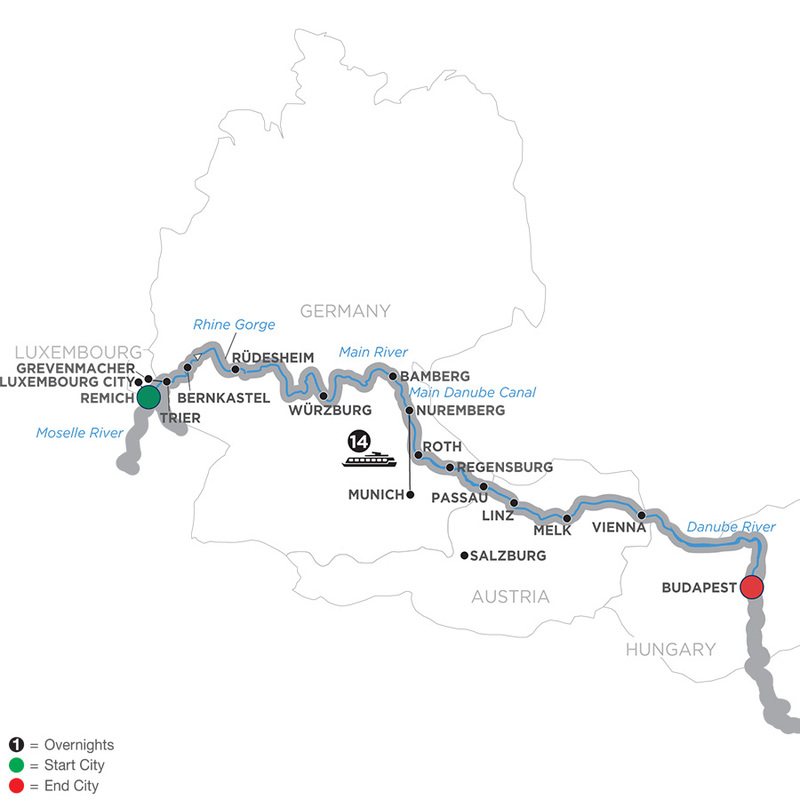 Travel from Paris to Metz or Luxembourg City via high-speed train and embark your river cruise ship in Remich. Guided sightseeing in each city shows you the highlights, with inside visits to Siegfried’s Mechanical Musical Instrument Museum in charming Rüdesheim, the Bishop’s Residenz in Würzburg, and Melk’s Benedictine Abbey. Pass the legendary Lorelei rock, and participate in a lively tasting of some of Germany’s famous beers. End your cruise in Budapest, Hungary’s vibrant capital! All of this and much more awaits you on this marvelous cruise vacation.